Omri Green for Team Ride to Give hasn't added a story. I grew up in New York City, my parents divorced when I was very young. Both of my parents remarried and had more kids, and I am the oldest of six half and full siblings. In 1999 my mom was diagnosed with stage 4 colon cancer at the age of 47. We had no history of colon cancer in our family and this lack of knowledge about the disease, it's symptoms and prevention, proved tragic. My mom was the pillar of our family, a beautiful, strong "wonder-woman" who loved everyone around her, her kids the most. She fought valiantly for 2 years, hanging on and motivated to stick around for me, my two brothers and sister. My wife Katie and I decided to speed up our wedding plans so she could live to see the day, she did and it was beautiful. She passed away on an early morning in mid-April 2001, at the age of 49. The entire house was asleep, Katie and I were asleep by her side, and she decided to slip away at that moment. There is nothing more horrific and painful than having to wake up your 9 year old brother to let him know mommy was gone, forever. (I am crying as I write this, it always brings back a flood of memories). Katie and I eventually adopted Orin, and he has grown to become an incredible young man. Since that moment I have never taken "no" for an answer. Having gone through something like that, and knowing how precious life is, I am motivated to do all that I can, while I can. My athletic pursuits are a reflection of that attitude: anything is possible. I started triathlon three years ago, motivated and inspired by a local Nyack guy named Dave Nazaroff. I haven't looked back since. Ride to Give is important to me because I know firsthand how terrible it is to have to deal with a family member's sickness, and in my case, loss. I am blessed to have a wonderful wife and incredible kids, and I want to be able to help families who need it most. Please consider donating this season as I look to raise funds over the course of the year. You can also feel free to share my campaign on your own social media platforms. Omri Green for Team Ride to Give hasn't posted any updates yet. 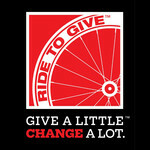 Join Omri Green for Team Ride to Give in making this campaign a success. Together we can do good for the cause we believe in.